With the release of Bluster’s Last Stand by Wild Horse Press this fall, my loveable scoundrel H.H. Lomax has returned with another misadventure, this time culminating at the Battle of the Little Bighorn. 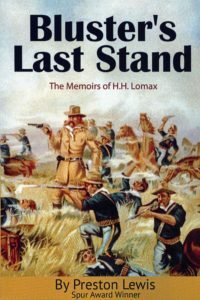 The story of Lomax goes back to the mid-1990s when the editor of Bantam approached me about working with Book Creations Inc. (BCI) to create a character who roamed the Old West, crossing paths with the era’s legendary figures and, basically, gumming up the works. I was to create the character, the backstory and the tales in a first-person narrative that offered a new slant, hopefully humorous, on the time-worn tales of the frontier. In other words, Lomax was to be the guy in the ointment of the Old West. So, I hit upon the idea, far from original, of a set papers that had been found in an archive. Thus, The Memoirs of H.H. Lomax were born in my mind. I got permission from the director of the Southwest Collection at Texas Tech University to write a foreword saying the papers were housed there. His only provision was that he would start a file at the archive on me, documenting that H.H. Lomax was merely the product of my imagination, so that some future archivist wouldn’t be pulling her hair out trying to find the lost memoirs I had written about. I laughed at the request, doubting there would ever be a single inquiry about Lomax, but I was proven wrong after the first three volumes came out as there was a period when the Southwest Collection was fielding two or three Lomax queries a month. Unfortunately, after the third volume in the series came out, Bantam dropped its western and frontier lines, ending the literary career of my protagonist. However, once I retired from university work, I acquired the rights to Lomax and worked with Wild Horse Press to bring the first three volumes—The Demise of Billy the Kid, The Redemption of Jesse James and Mix-Up at the O.K. Corral—back into print. As Lomax had taken on Billy the Kid, Jesse James, Wyatt Earp, Doc Holliday and Johnny Ringo, among others, in the first three volumes, it was time to take on another western icon. So, I settled on George Armstrong Custer with peripheral characters of Buffalo Bill and Wild Bill Hickok, who I will utilize further in the fifth Lomax book I am currently researching. 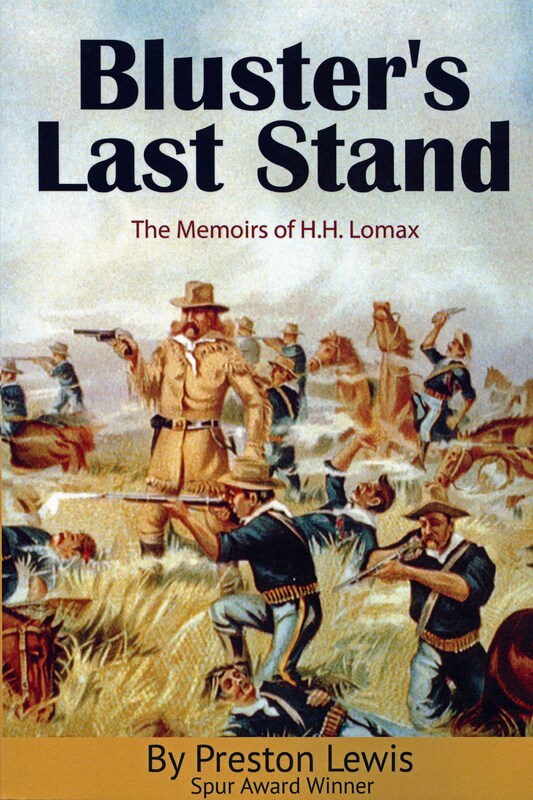 I’ll be writing more on Lomax and Bluster’s Last Stand in coming days.